The Avengers: Age Of Ultron trailer to debut during next week’s Agents Of S.H.I.E.L.D. 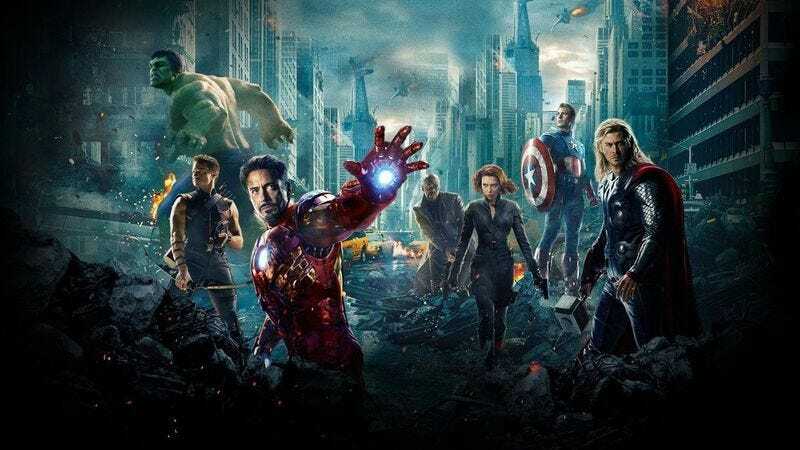 Proving once again that there’s no superpower in the universe more potent than marketing synergy, Marvel Studios has announced that it will debut the first official trailer for Avengers: Age Of Ultron during the Tuesday, Oct. 28 airing of Marvel’s Agents Of S.H.I.E.L.D. It’s essentially a matryoshka doll of savvy promotion, with eager fans tuning in to ABC’s giant commercial for the Marvel Cinematic Universe to find the smaller commercial hidden within. Age Of Ultron is currently set for a May 1, 2015 release date, which is seven months from now. It’s enough to make you sigh wistfully, longing for a time when stores and giant entertainment monoliths waited until at least after Halloween to start putting their Age Of Ultron decorations and promotional materials up.